Burger is one of my favorite food since I was a little. Yes, I know it’s considered as junk food, but once in a while won’t hurt right? 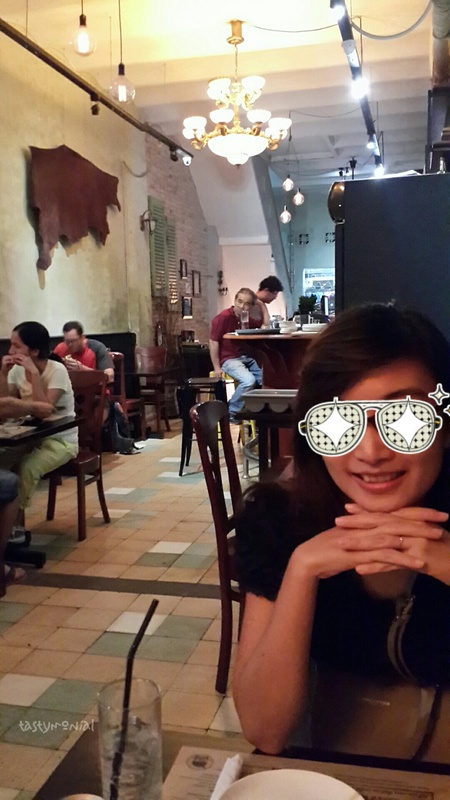 😀 In Ho Chi Minh City, there are many burger restaurant, local one, not a chain-restaurant like Burger King etc. This time I tried Soul Burger, that was appraised by many people in TripAdvisor. The restaurant is located at the opposite of Benh Thanh Market, at 4 Phan Boi Chau, 1st floor. You won’t miss it, they have a sign board with slogan “the worst burger in Vietnam”. There is a nail salon on Ground Floor and on 2nd floor has tattoo station. Do not be taken back by the entrance, as some people will feel intimidated by it. Just go straight through that small alley and turn left, you will see a stair to the restaurant. Once you are inside the restaurant though, the atmosphere there will calm you. A relax and easy-going music are playing. There are not many table in the room. There is a bar as well, nice and cozy. The menu is already at table, as they are serves as placemat. The waiter has a nice service, patient and can speak english very well. We ordered this as starter. 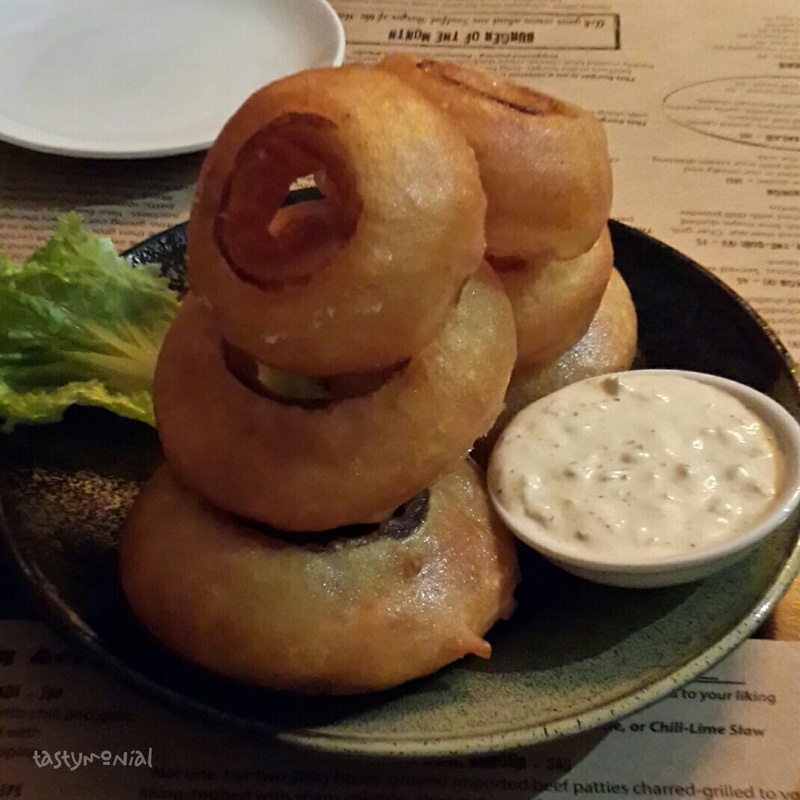 Beer battered onion rings. The onion is tasty, it’s sweet. Dip it in creamy remoulade sauce. Can’t stop eating! I want to eat this more and more. A really good combination I would say. Price : 45k vnd. 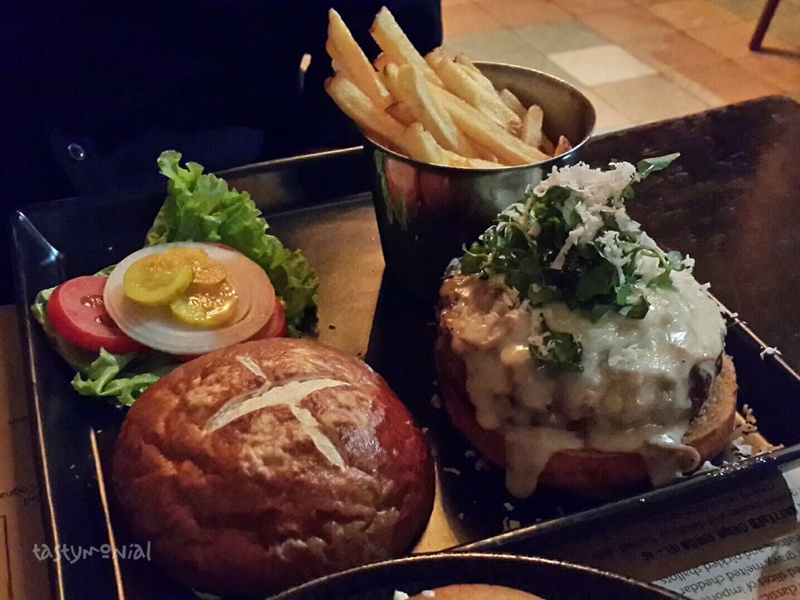 This one is the most favorite burger in the Tripadvisor’s review. Of course we have to try it 😉 The way they serve the burger is different. To be honest, I couldn’t eat it as a whole. That’s just too big! This burger is The Diana Ross. 200 gram house-ground imported beef patty topped with cheddar cheese, sauteed mushroom, and freshly shaved horseradish. Medium cooked for the patty. We can choose the side dish for all burger menu, and for this one we chose french fries. One word : excellent! Price : 230k vnd. The Blues Brothers is not popular with people who doesn’t like blue cheese. 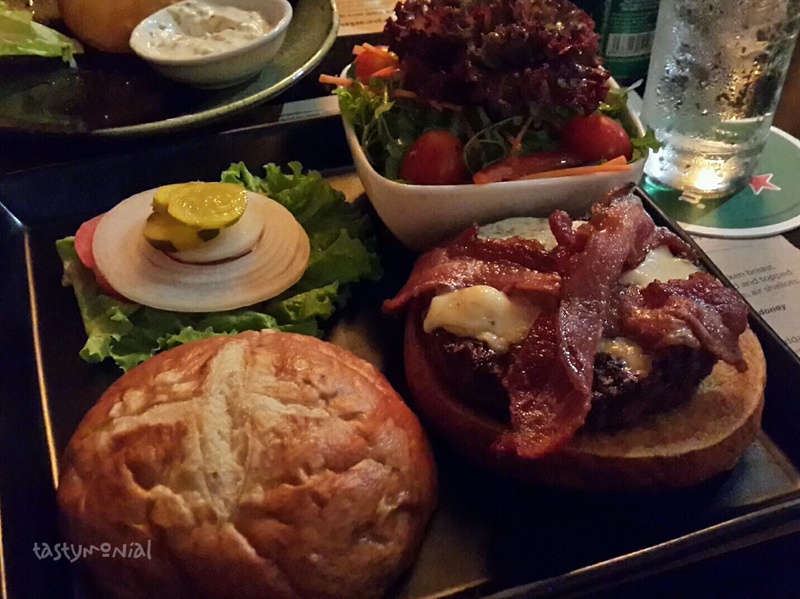 200gr house-ground imported beef patty (also medium) topped with blue cheese, crispy thick cut bacon and veggie. I can’t remember when did the last time I ate blue cheese nor have I tried blue cheese before. And this burger made me remember how blue cheese tasted like. I like it. My husband doesn’t like it because it’s too salty. I think most of people also feel the same about it. As a whole, this burger is saltier than diana ross. Blue cheese plus bacon is just too much of salty flavour (but I like it xD). Superb! Price : 210k vnd. I would say this is really the best burger I ate in Ho Chi Minh City, despite of their claim as the worst burger lol. I would definitely come back and try another menu. Wait for it!